Six weeks of staff churn and pronouncement shocks reflect a president who has grown increasingly confident on the job and more trusting of his instincts. After 14 months in the Oval Office, Trump is more comfortable bucking the advice of White House staffers and congressional Republicans, and that is increasingly putting even his allies on edge. Trump may have an even more dramatic shake-up in mind for his administration. The president has floated to outside advisers a plan to do away with the traditional West Wing power structure, including the formal chief of staff role, to create the more free-wheeling atmosphere he relished while running his business and later his presidential campaign at Trump Tower. The sense of apprehension is palpable in the West Wing, where tempers are running short and uneasy aides discuss their future employment prospects behind closed doors, according to six White House officials and several outside advisers. They all spoke on the condition of anonymity to describe the internal dynamics. Recent blows to staff confidence have been almost exclusively instigated by the president himself. He congratulated Russian President Vladimir Putin on his re-election and didn’t chide him about the tainted vote or the poisoning of a spy on British soil. He pushed forward with steel and aluminum tariffs, prompting his chief economic adviser to quit. And he agreed to meet with North Korean dictator Kim Jong Un to the surprise of many national security officials. Thursday’s announcement of national security adviser H.R. McMaster’s impending exit continued the trend. The two men never clicked personally, and Trump was known to complain when he saw extended meetings with the national security adviser on his schedule. Trump also, as he did with fired Secretary of State Rex Tillerson, grew frustrated when McMaster would try to curb some of his instincts on international relations, according to White House officials and outside advisers. Now he has turned to former U.N. 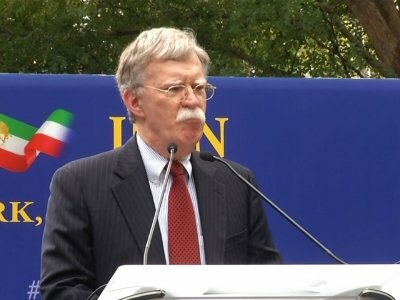 Ambassador John Bolton, whom Trump described to one outside confidant as “a killer” on television and likely to forcefully advocate for the president’s beliefs, despite sometimes divergent views on American intervention overseas, according to a person familiar with the president’s views but not authorized to discuss them publicly. Trump has admired Bolton for years, tweeting in 2014 his praise of an article in which Bolton argued for more domestic oil drilling. He has expressed appreciation for Bolton’s appearances defending Trump even though he has voiced some unhappiness about the look of Bolton’s bushy mustache, according to the person familiar the president’s thinking. Trump is not entirely unmoored from his aides. After threatening on Friday to veto a $1.3 trillion spending agreement his staffers had already promised he would sign, Trump came back around after a concerted lobbying effort by his legislative team and Cabinet secretaries. But not before venting his frustration at the process and the bill — drafted in part by his own team — in a hastily called “press availability” in the Diplomatic Reception Room of the White House. Trump has long chafed at how chief of staff John Kelly has curbed access to him in the Oval Office and has mused about doing away with the gatekeepers, according to two people familiar with the president’s thinking but not authorized to publicly discuss private conversations. Trump, who frequently muses about staff shake-ups without following through, appears to have tabled the idea for now. But it received a ringing endorsement from his former chief strategist Steve Bannon during a panel discussion in New York on Thursday.